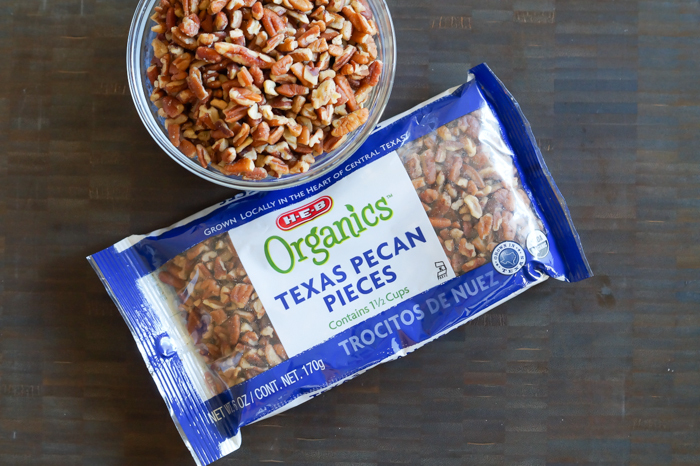 I mention H-E-B on the blog and on Instagram quite a bit. Why? Well, it is my second home (I'm there at least 4 days a week), and it has everything you want in a grocery store and more, like fresh tortillas made in-house and as you watch. 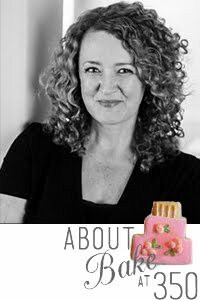 I'm beyond excited to be partnering with them on the blog. Now, besides my love of grocery stores, I also have a great love of all things pumpkin. You knew that. 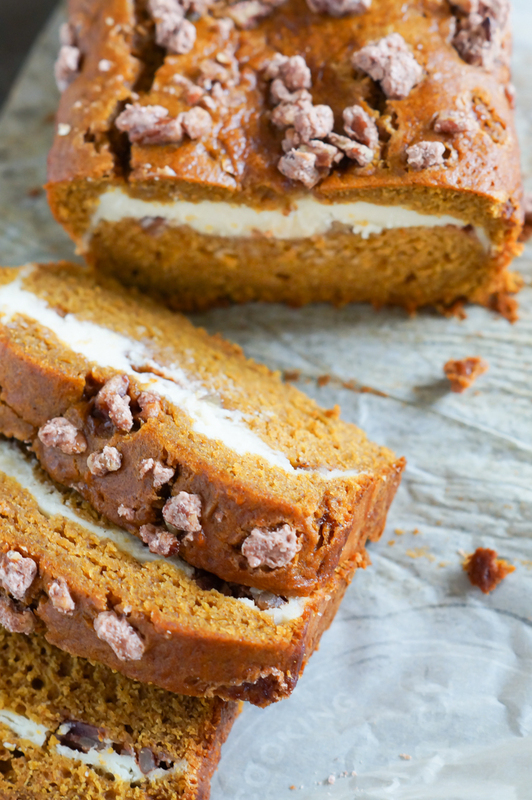 PUMPKIN EVERYTHING!!! 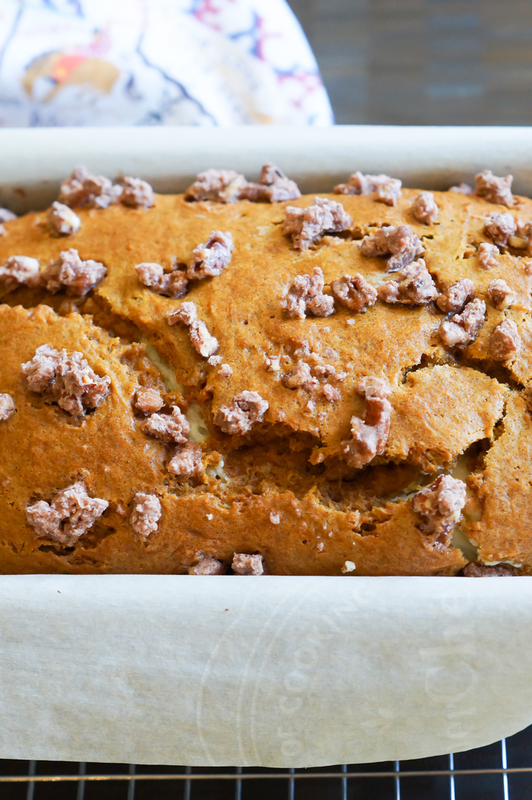 This pumpkin cream cheese bread with cinnamon sugar pecans is a must make. Must make NOW. 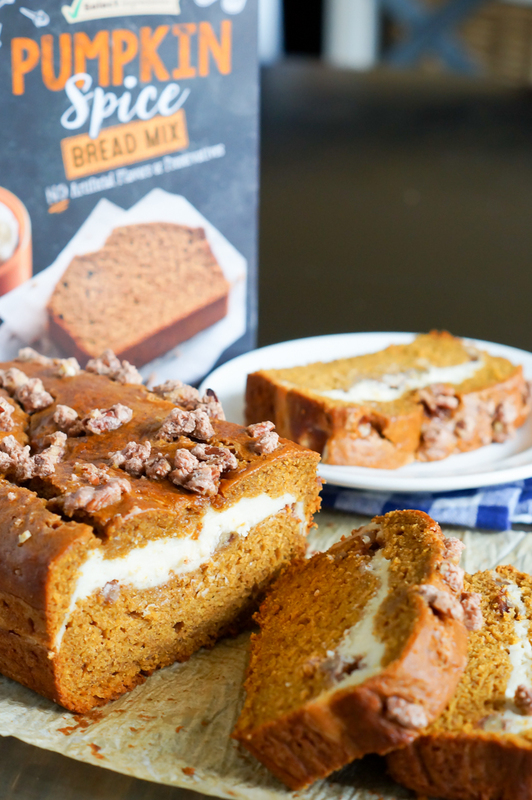 The best part is...the bread is made using H-E-B's Pumpkin Spice Bread Mix. All natural with no preservatives or artificial colors, the mix is rich with warm spices and pumpkin. 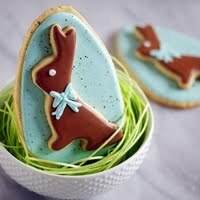 I've already eaten it plain, with chocolate chips, and this version. You can't go wrong here. 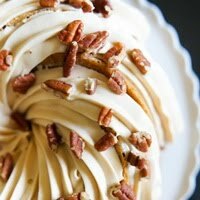 You'll start by making the cinnamon sugar pecans. Did you know Texas' state tree is the pecan tree? Now you do! Next up, the cream cheese layer. Ah, cream cheese....I love you. The fastest part is whipping up the bread mix. No mixer required. Layer 2/3 of the batter into the prepared pan. Sprinkle on some candied pecans. 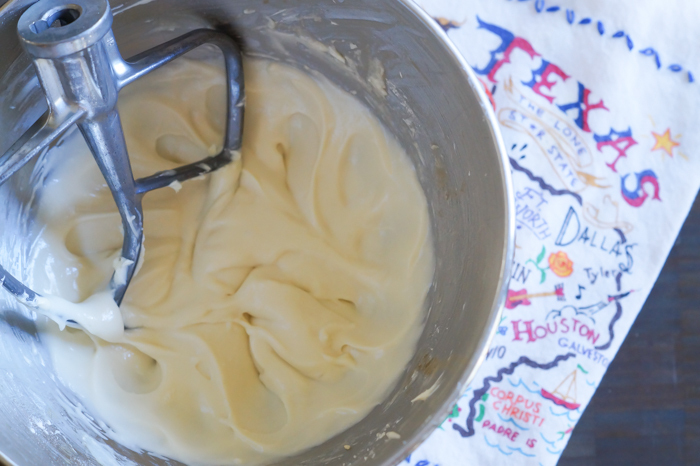 Spread on the cream cheese layer, then the remaining batter. 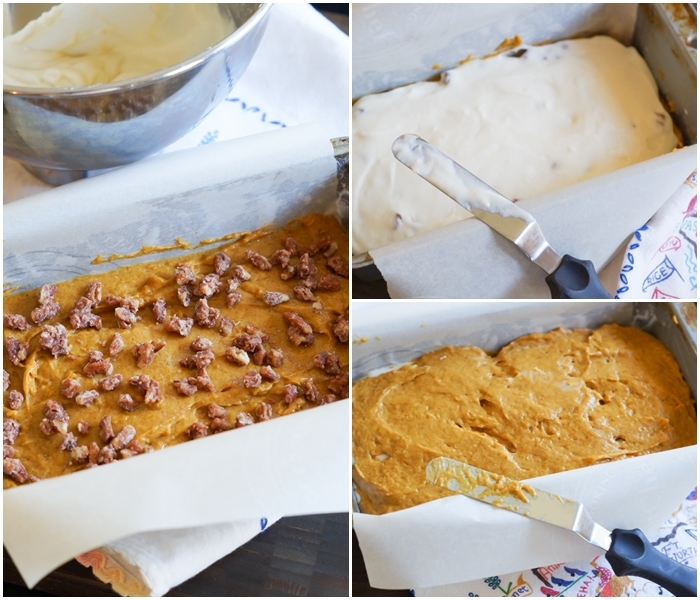 Top with more pecans. Preheat oven to 350. Grease a 9x5" loaf pan. Line with parchment, leaving an overhang on the long sides. 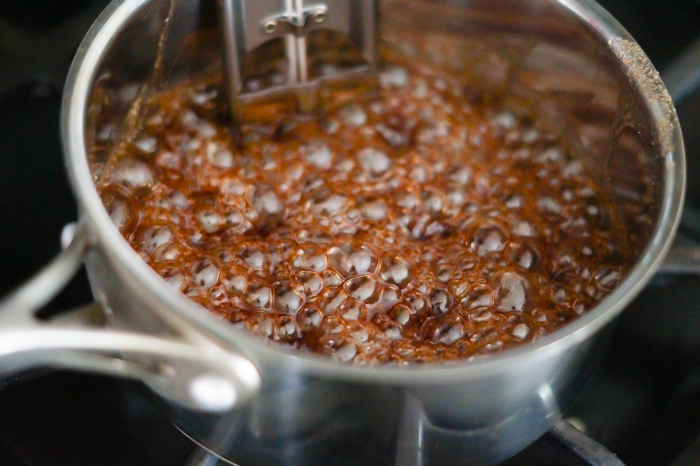 In a small saucepan, bring the water, sugar, and cinnamon to a boil, stirring constantly. Let cook over medium-low heat until thick, bubbly, and 230 degrees. Remove from heat; stir in vanilla and pecans. Stir until the mixture starts to look grainy. 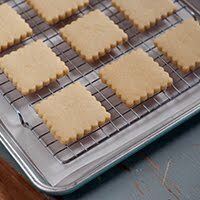 Pour onto a parchment-lined cookie sheet and press into a single layer. Set aside. Make the cream cheese mixture. 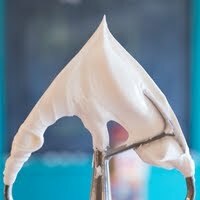 Start by beating the cream cheese until smooth and fluffy. Beat in the egg white and vanilla until smooth. Add sugar and flour, mixing again until smooth. Set aside. In a large bowl, whisk the water, oil and eggs for the bread. Add in the pouch mix and stir until combined. Pour 2/3 of the batter evenly into the prepared pan. Break apart the pecans and sprinkle 1/3 cup on top of the batter. Spread the cream cheese layer evenly over the pecans. Spread the remaining bread batter over the cream cheese. Sprinkle with 1/4 cup more pecans. Bake for 60 minutes, or until the bread bounce back when lightly pressed in the center. Let cool in the pan for 10 minutes, then use the parchment to lift the bread onto a wire rack to cool completely. 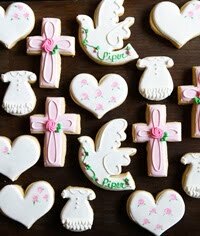 Once cooled, store in the refrigerator. Serve thick slices for breakfast, snacks...or maybe ever dinner. Oh yeah. 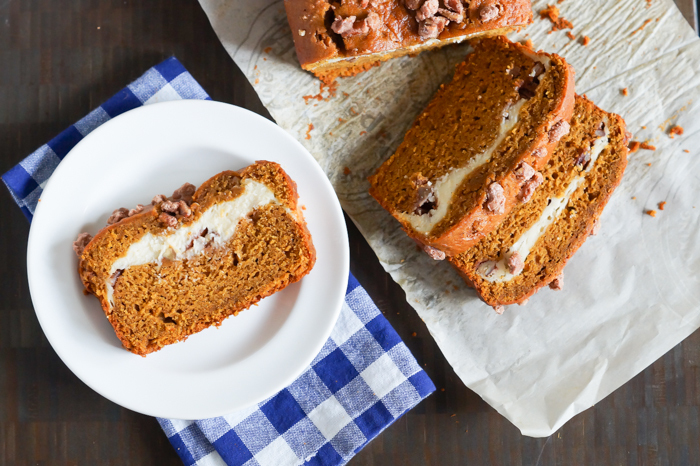 Pumpkin Cream Cheese Bread with Cinnamon Sugar Pecans. 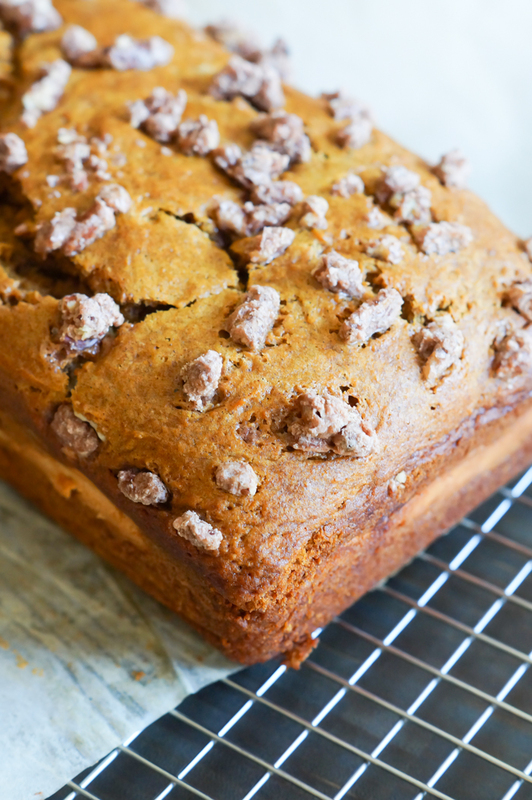 Put this on your "must make during pumpkin season" list! 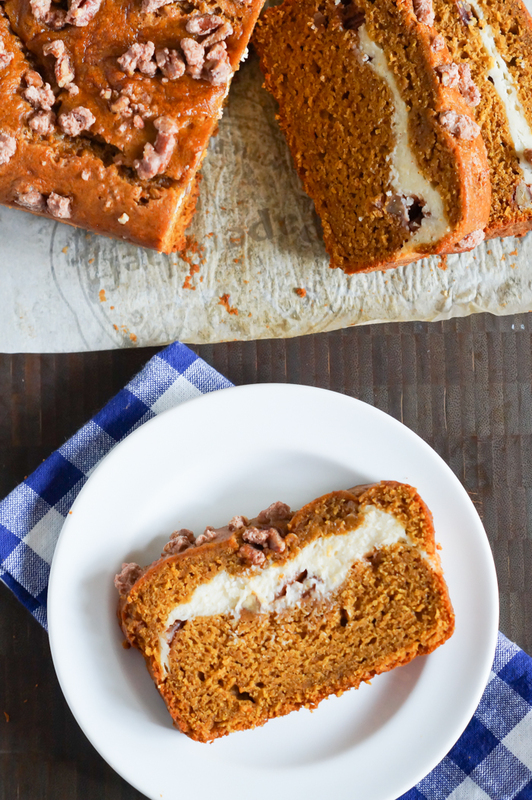 I just made pumpkin muffins with cream cheese, I love the look of the loaf with candied pecans. Perfect for autumn! 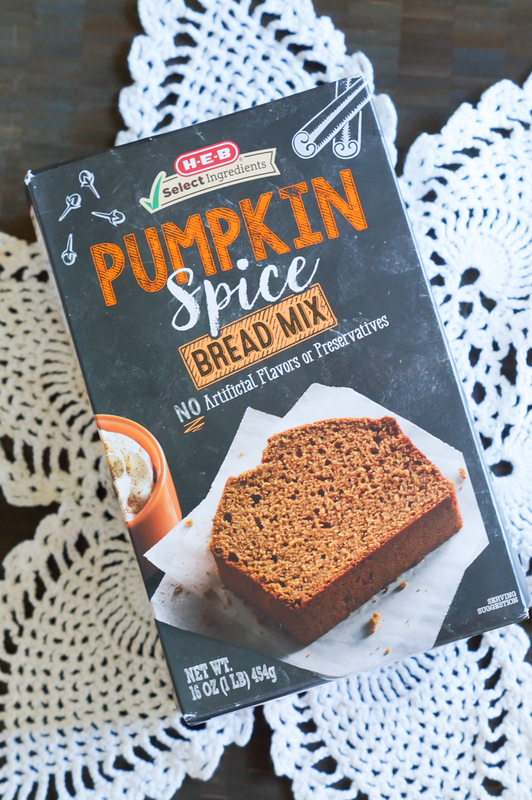 Oh, I am going to HEB today and will be on the look out for this mix! Looks delicious! What a way to snazzy up that pumpkin mix. I'm crazy over that cream cheese layer!!! 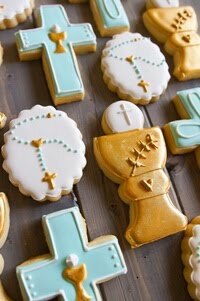 I want to bake this RIGHT NOW! Looks incredible, Bridget!